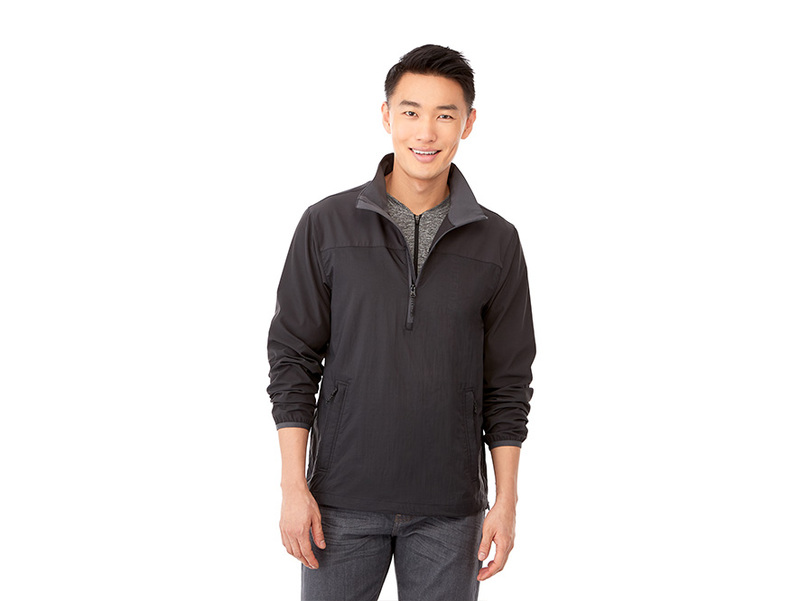 The Odaray Half Zip Lightweight Jacket is an incredible lightweight jacket with a great look for breezy days. Its stretch knit blocking adds versatility along with ergonomic sleeves, articulated elbows and a dropped back hem. OUTERSHELL: 100% Nylon 380T ripstop woven with durable water repellent finish, 40 g/m² (1.2 oz/yd²). CONTRAST: 92% Polyester 8% Elastane four-way stretch woven with durable water repellent finish, 170 g/m² (5 oz/yd²). DECORATION NOTICE: Transfer available on body fabric only. Laser, deboss and HXD available on sleeve fabric only.